Performances. Fireworks 9pm. 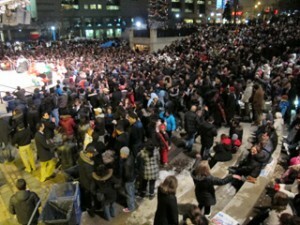 Mel Lastman Square events hotline: 416-395-7582. For other events in our Iranian community, click on: [http://events.kodoom.com/en/persian/toronto-canada/. Mel Lastman Square Iranian Festival. Copyright ©2014 Ruth Lor Malloy.